How do we make our frozen desserts? First, we determine what our production needs are and then we create the formulation using a dairy formulating software and incorporating the test results of our dairy ingredients. Blend together dry and liquid ingredients using a powder blender. Homogenize mix under high pressure to reduce the average diameter of the fat globules. Pasteurization (high temp, short time). Pasteurization is the process of heating mix to at least 180° F and holding for a minimum of 15 seconds and then cooling down to less than 40° F. This process is designed to kill 100% of the pathogens and well over 90% of the total bacteria. Store mix for at least 16 hours at a temperature between 35-40° F to allow for full hydration. Add flavor and/or color to the mix based on our formulations. Pump mix into continuous freezer. 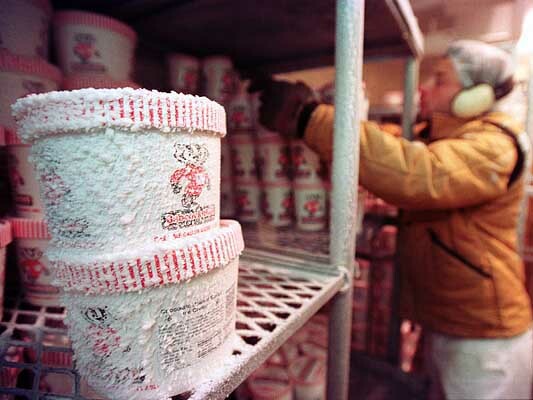 The continuous freezer will cool the mix from 35° to 20° F resulting in ice crystal development. The rotating dashers are designed to cut ice crystals as they develop inside the freezing barrel. Additionally, filtered air is injected into the ice cream mixture to produce the desired overrun. 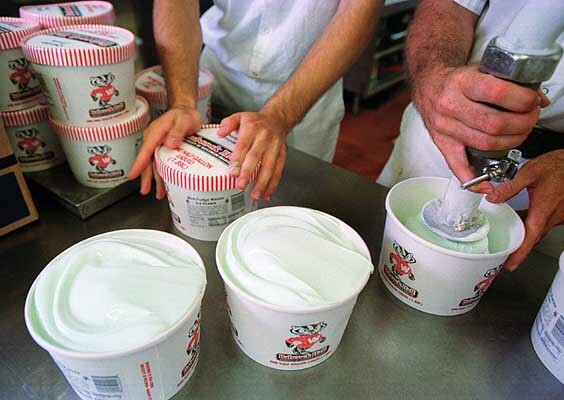 The overrun of Babcock’s standard ice cream is 80%, which means 1 gallon of mix will produce 1.8 gallons of ice cream. A slight churning effect takes place from the dasher speed, causing partial coalescence of fat globules. This gives the effect of a smoother and creamier mouth feel. This mixture of ice crystals, air cells, water, sugar, and milk solids then exits the freezing barrel and is pumped through the ingredient feeder where inclusions are added at 6–10%. We may also inject a variegate or swirl into the ice cream. 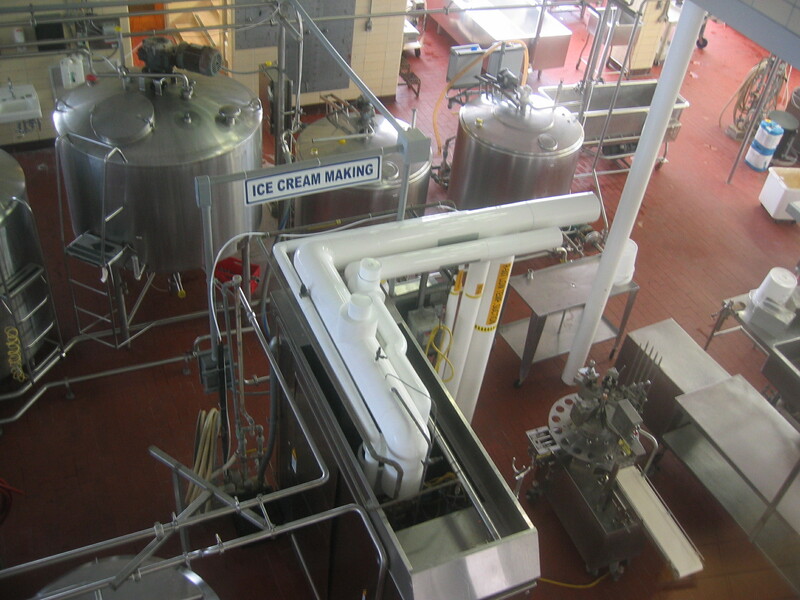 This 20° F ice cream is then is quickly packaged and sent to the hardening room for the final step of ice cream making. The temperature of the hardening room should be at -20° F or colder for optimal storage.